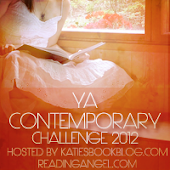 Today I have Anna from The Bursting Bookshelf on my blog for an interview! I had a great time interviewing Anna, so here it is! What is your favorite book? Explain why. The Hunger Games by Suzanne Collins. I love it because it is a great book with a deeper meaning to it. I love that series also! Jace and Clary from The Mortal Instruments. They are so good together! How many books are currently in your to-be-read pile? Well, I am actually afraid to count. Between the eBooks I need to get done and the physical books, it is a scary amount. What is your biggest pet peeve, in blogging or in general? Definitely when you get those spam links on Twitter. No, for the thousandth time, I do not want an iPad! Very true, I hate when I get those! 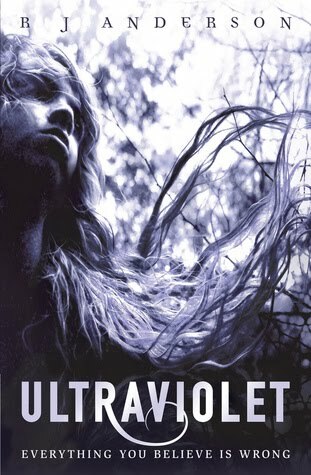 I'm reading several, but I am focusing on Ultraviolet by RJ Anderson. It is just awesome! I really like the cover, I should go check it out! I love being able to get my opinions on books out there and being able to talk to so many other book lovers. Do you have a favorite bookstore? Which one is it? I adore my local bookstore. I use it as much as possible! What are a few books that you like that aren't very popular? 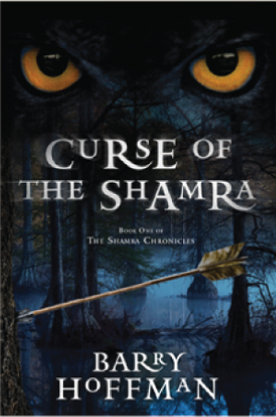 I quite liked Curse of the Shamra by Barry Hoffman. It's not too well known, but it should be. Give it a try some time! This book also looks good! I don't have a preferred genre, but I do prefer to stick in YA books over. Who inspired you the most to start reading? I've always read a lot, but a friend of mine let me borrow a lot of her YA books including The Vampire Diaries by LJ Smith. From then on, I was hooked on YA books, and it's all thanks to that one friend! Thanks Anna for participating in an interview with me! Everyone should go check out her blog, and her follow her on Twitter!